All of these magnificent pewter base shot glasses are lovingly crafted according to traditional methods and outstanding designs to produce what are truly extra special items of pewter giftware that make wonderful gifts for any occasion. 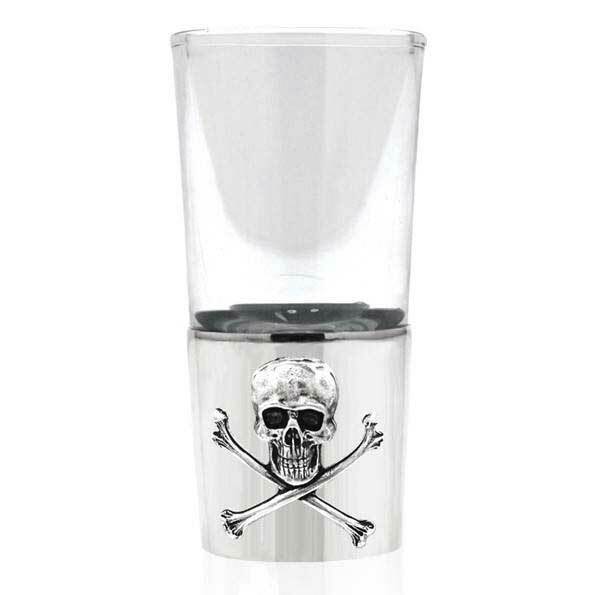 This 80mm tall and 33mm wide shot glass has a pewter base that adds a satisfying weight to the glass, as well as having a mirror-like finish that invites the addition of an engraved name or set of initials to make the glass truly unique. This particular glass is then adorned with an elegant solid pewter badge of a trout, and is supplied beautifully packaged in a chic cream and black English Pewter Company presentation box.